Kate and Sara's Get Fit for Fall DietBet! 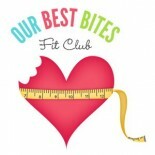 Come have fun and lose weight with the girls from Our Best Bites! Out of 724,910 DietBetters, 100.04% have lost weight during their challenges. Combined, they've lost 12,290,636 lbs and won $62,263,235. In other words...yes. Wow! That was a lot harder than I imagined! I literally just made it. 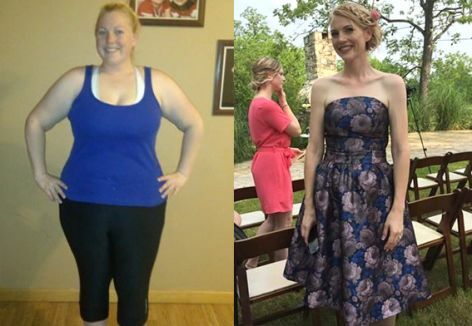 I was only .1 under my goal weight! Tawn A. , Jeanne H. , Lindsey B. , Marie R. and Dacia S. like this comment. Your game has now been finalized. Congratulations to the winners! You earned a 30.7% return on your money simply by investing in your own health. Don’t you wish all of your investments paid out at that rate of return? - Overall MVP: Robyn S.
- Most Liked Player: Dacia S.
- Most Generous Liker: Dacia S.
- Most Liked Comment: "My doctor just congratulated me for coming down in weight. A year ago I was 163, six months ago 155, and today 144!!! She made my day! " by Paula M.
Lindsey B. , Jenn R. , Dacia S. , Brittny L. and Faye like this comment. I don't have a PayPal account. Is there another way for me to get my money? Made it with an extra 4 lbs under my goal. Bre , Dacia S. and 4 others like this comment. It won’t let me upload my pictures! Dacia S. likes this comment. Nope. I logged out, turned off my phone, and logged back in and it still didn’t work. :( I even reported a bug, but no luck. I’m really annoyed by this. It won’t give me a word!!!!! Lindsey B. and Dacia S. like this comment. I hope you figured it out! Good luck! Did you get your word. It confused me too. I made it 0.3 lbs under my goal weight. That was really stressful, but I am very happy to walk away a winner! This is my first DietBet. I would've really taken it personally it I missed the goal by half a pound! Faye , Romy K. and 11 others like this comment. A win is a win! Great job! Thanks, Dacia! You are so great at encouraging everyone. You are awesome! Faye , Romy K. , Lace , Dacia S. and Sarah E. like this comment. You are good to go! Yay! Enjoy your trip! I hit my goal exactly. That still counts, right? I'd hate to lose because I didn't lose 0.1 pounds more. Lace , Dacia S. and 4 others like this comment. Conpleated! Only 0.7 lbs under my goal.... not bad for the first time! Lace , Dacia S. and 6 others like this comment. Whew! I just made it under my goal. I think this is the closest I have ever been! Too clise for comfort!